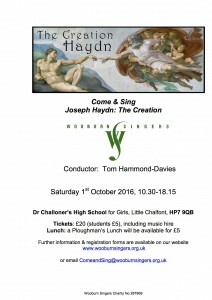 Come and spend an enjoyable day learning Haydn’s Creation from scratch, ending with an informal performance at the end of the day. 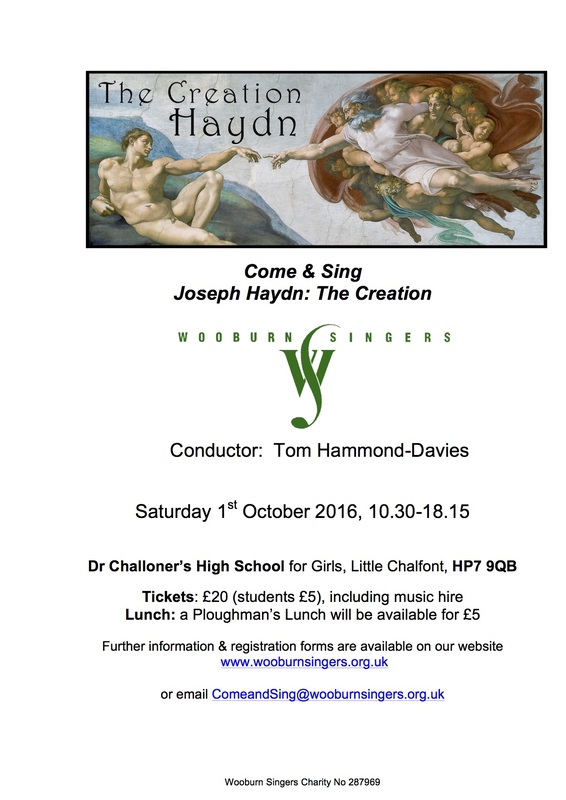 Also a great way to meet new people, and experience the Wooburn Singers – why not come along and see if you’d like to become a member? More details can be found on the Creation C&S poster and you can register for the day by completing the Creation application form.